A great way to use up leftover stuffing from the holidays or make a meal extra special. 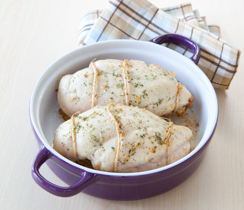 Choose large skinless, boneless chicken breasts that still have the “tender” attached. Preheat oven to 350? F (180? C). Gently separate chicken tender from each breast, but don’t completely remove. Be sure they are still attached. Divide Sage & Apple Stuffing in half and softly squeeze into two oblong balls. Place each ball between tender and breast meat. Press together. Secure with toothpicks or tie with kitchen twine. 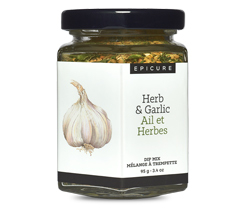 Brush tops of chicken with oil, then season with Herb & Garlic Dip Mix. Place in heat-proof serving dish. 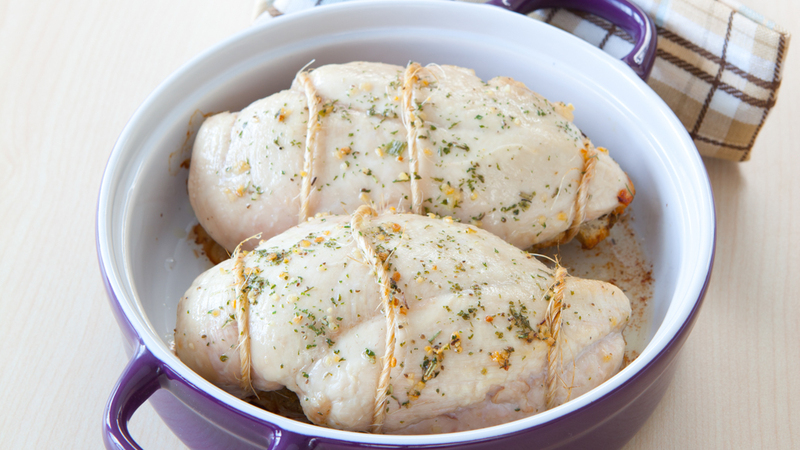 Bake, lid off, until chicken is cooked through, 30–35 minutes. Let stand 8 minutes, then remove toothpicks or cut off string. Slice into thick rounds.